Senator Warren Calls Out the DOJ – They Ignored 11 Congressional Commission Criminal Referrals! 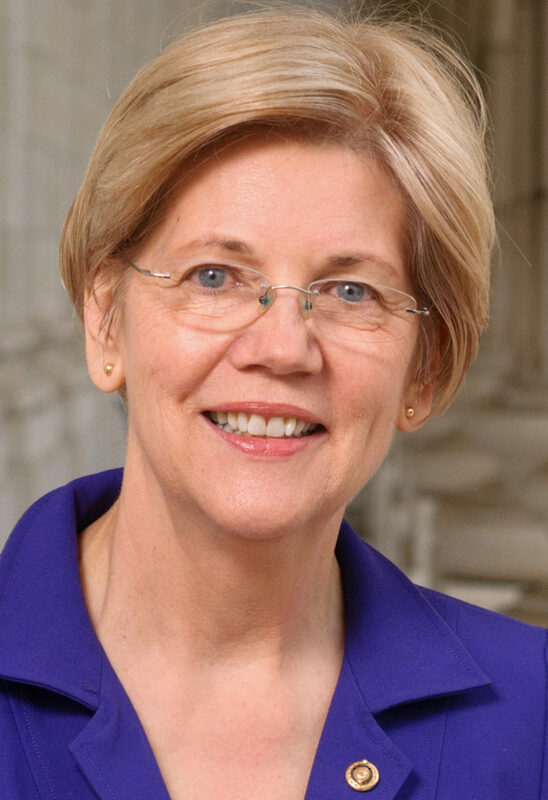 Senator Elizabeth Warren (D-MA), Member of the Senate Banking Committee and Ranking Minority Member of the Sub-Committee on Economic Policy, wrote two highly provocative letters this last week requesting a formal investigation into why President Obama’s administration has not brought criminal charges against the individuals and corporations involved in the 2007-2008 financial crisis. 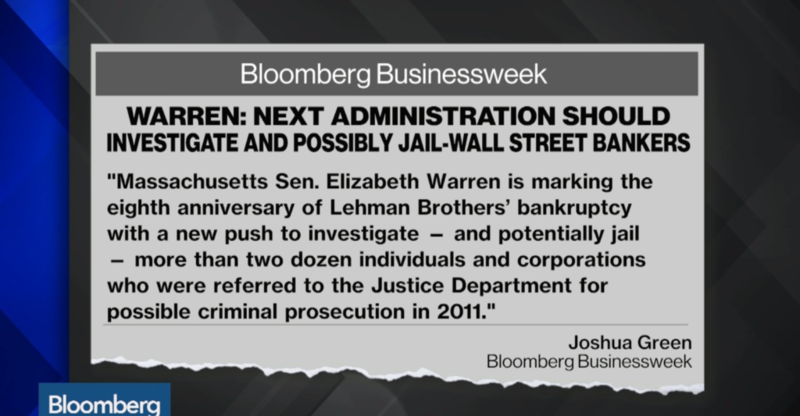 According to Bloomberg, Senator Warren says that the Financial Crisis Inquiry Commission (FCIC) clearly believed there was enough evidence to prosecute them, and sent many criminal referrals to the Department of Justice, so she wants to open up investigations to better understand why that never happened. A three-page letter to FBI Director James Comey, and a twenty page one to DOJ Inspector General Michael Horowitz, demanded an answer to why the Department of Justice (DOJ) has yet to prosecute any of the major players responsible for the 2008 financial crisis. 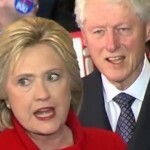 Her letter to Mr. Horowitz requested a review of how federal law enforcement managed to “whiff on all 11 substantive criminal referrals submitted by the Financial Crisis Inquiry Commission (FCIC), a panel set up to examine the causes of the 2008 meltdown.” Included in the letter is a description of each of the 11 criminal referrals, including the Citigroup criminal referral based solely on my testimony and evidence. To date, the FCIC’s criminal referrals, which the Justice Department has had in hand since October 2010, have yet to be made public. Senator Warren’s staff reviewed thousands of other documents released in March by the National Archives, my own testimony included; plus, hearings and testimony, witness interviews, internal deliberations, and memoranda, and found descriptions and records of them. The FCIC was under a legal mandate, established by the Fraud Enforcement and Recovery Act which chartered the Commission, to refer to the Attorney General any evidence found where laws were broken and 11 different criminal referrals were sent to then Attorney General Eric Holder, all of which were ignored. This is overwhelming proof that the DOJ ignored all of this very substantial evidence of criminal wrongdoing, which the congressional commission felt warranted referral because of the compelling nature of the evidence. Senator Warren’s letter detailed potential violations of securities laws by 14 different financial institutions: most of America’s largest banks — Citigroup, referencing my Citi criminal referral, Goldman Sachs, JPMorgan Chase, Lehman Brothers, Washington Mutual (now part of JPMorgan), and Merrill Lynch (now part of Bank of America) — along with foreign banking giants UBS, Credit Suisse, and Société Generale, auditor PriceWaterhouseCoopers, credit rating agency Moody’s, insurance company AIG, and mortgage giants Fannie Mae and Freddie Mac. Both Rubin and Crittenden were explicitly warned by me, in writing, of the Citigroup pending huge losses one year before the bank bailouts. To date, not one Wall Street banker involved in the 2008 financial crisis has gone to prison; instead the big banks have grown larger at the expense of the American taxpayer and our community banks. The Justice Department and the Securities and Exchange Commission, in spite of their promises to hold the TBTF accountable, have failed miserably. There has been no accountability; none! We need to stand behind Senator Warrens’ demand for an investigation. 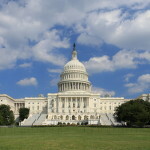 There Aren’t Any Hallmark Cards for Whistleblowers… Yet! 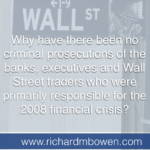 The Elephant in the Room – Why no TBTF Prosecutions? The Large Bank Stranglehold is Tightened! 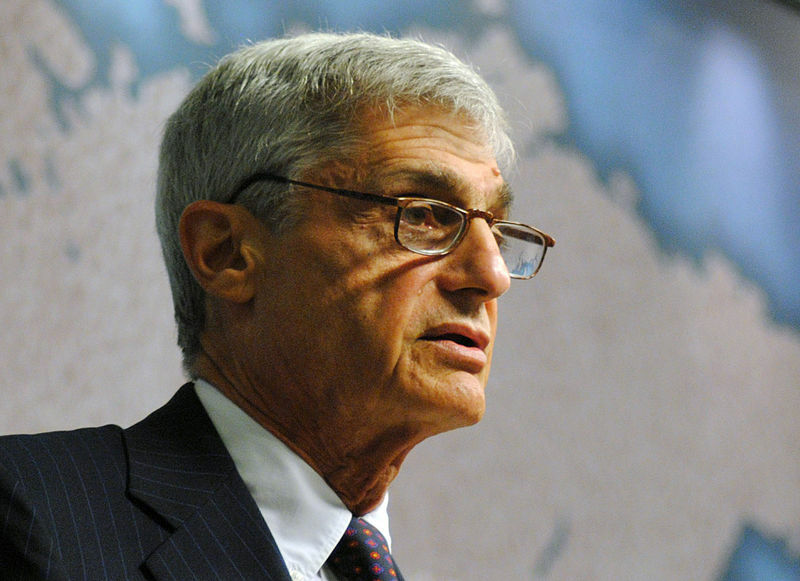 “Take On Wall Street” – a Bold Agenda to Control the Large Banks!